But here it is, anyways. The question is: how do you emulate the controls propertly? If it has configurable controls, I'm going to use a analog stick+shoulder button setup with my controller. 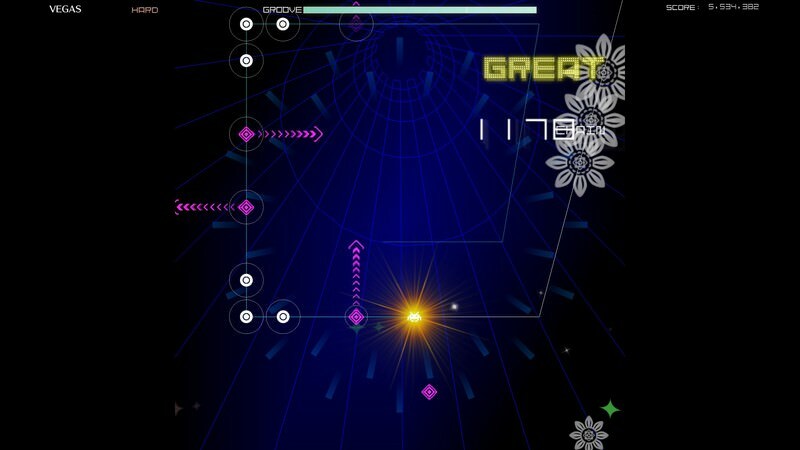 Arrows and the green wiggly notes = you move or wiggle both analog sticks wherever necessary. My real concern is whether it's gonna function more like the AC version (you get a bunch of songs out of the gate and you have online multiplayer/events) or more like the mobile version (you have to grind a bunch to unlock new songs and buy packs of others). Maybe it could be a mix of both, but I would imagine/hope that since you're moving to something that has much more powerful hardware and space compared to a mobile device, I would imagine they would make the absolute most of it. 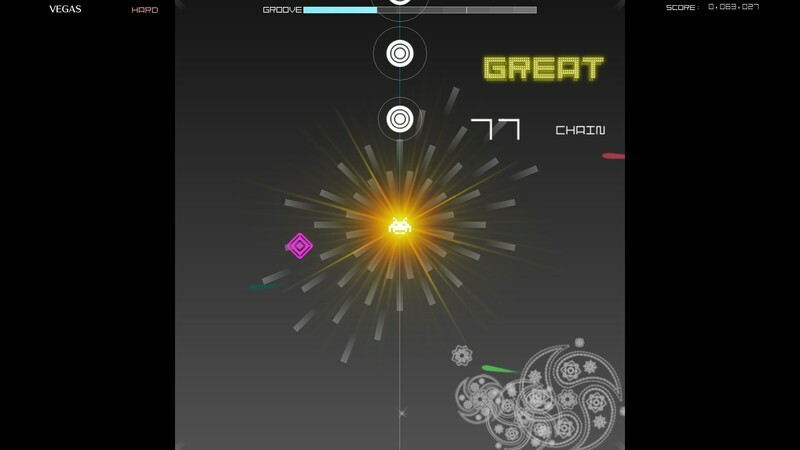 A retracted Degica Games post dropped a few details about the upcoming Groove Coaster Steam release later this summer. The arcade hit will support keyboard/mouse as well as controller input. Two modes, Casual and Arcade, will allow one handed or two handed play. 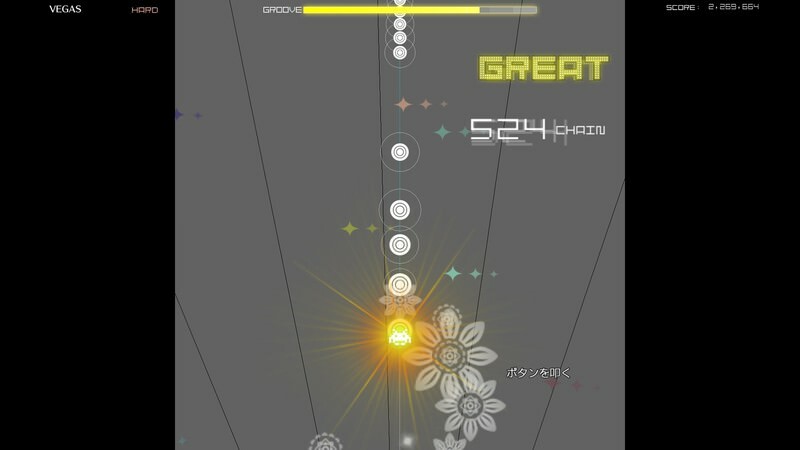 Multiple difficulty levels will also be available for each song. There will be vertical and horizontal display options, and a new nonstop mode pits players against 10 songs of their choice in one sitting. 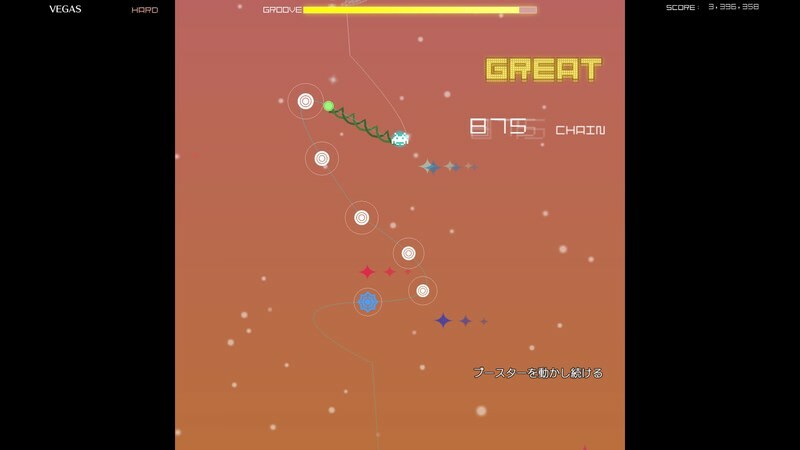 Thirty-six tracks are included with the game, with additional content available after launch. 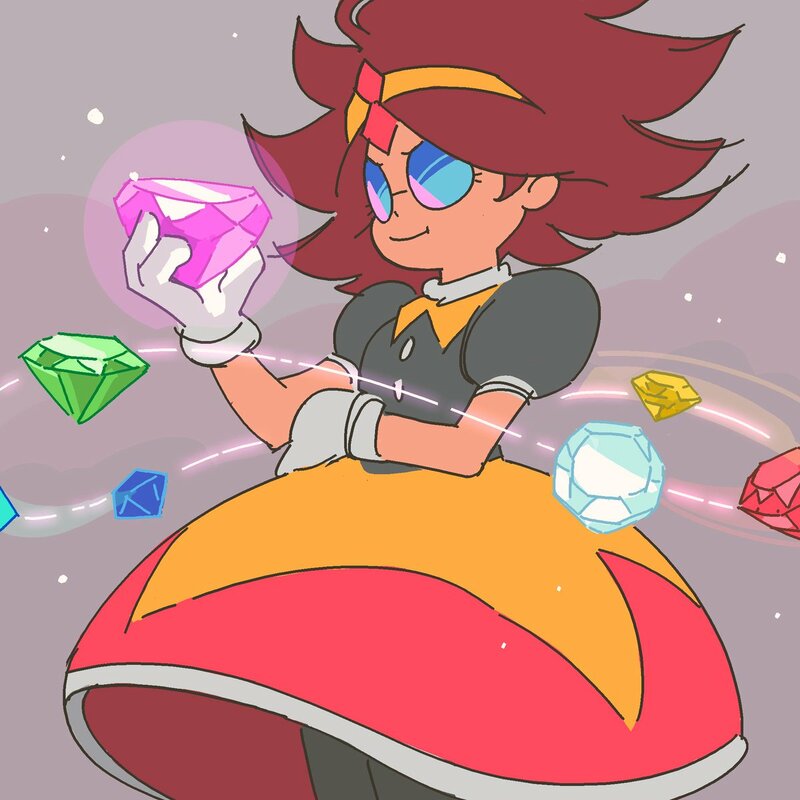 The default song list includes classic songs from Taito’s in-house band ZUNTATA, the ever-masterful Sampling Masters AYA and MEGA, as well as popular independent artists such as C-Show, Massive New Krew and aran. Seriously, it doesn't look like it's gonna be a port of Zero. But if there's mouse support, then how is one meant to do dual flicks in opposing directions? Most importantly, we have our first screenshot! By the look of the font they're using for the title (top left), it doesn't look like the UI is just gonna be ripped straight from the iOS version. Maybe it's gonna be a hybrid of the AC and mobile versions? Because it clearly looks like the interface is gonna be based off of the AC version, and the "Player" text on the bottom left side of the 2 makes me think there's also gonna be multiplayer. With that said, I'm thinking they're going to have an XP system like the mobile version where you'll unlock free songs as you level up, and you buy song packs from the store. Either way, I'm super excited if this means we will get every song from the AC versions now, and we won't have to use our phones to play the game at home anymore! ...and the "Player" text on the bottom left side of the 2 makes me think there's also gonna be multiplayer. 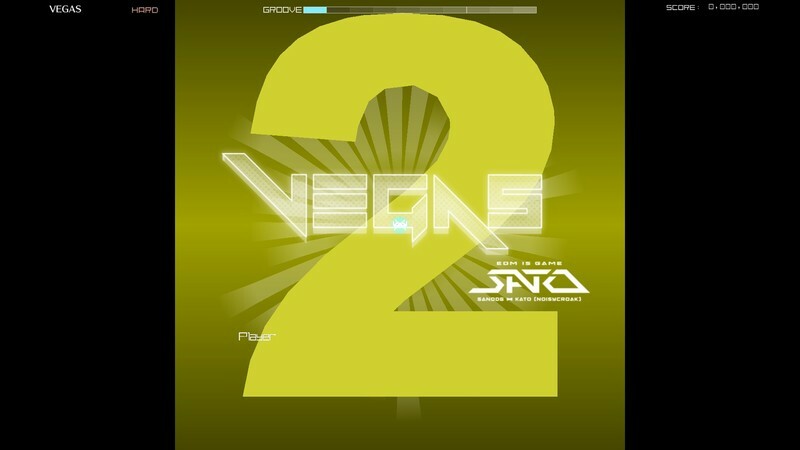 The "2" is part of the "Vegas" visualizations (see video below), the game ifself is for one player. About the Player, there should show the user name, like the arcade, idk if gonna be linked with a NESICA account or a TAITO ID or even the Steam account. The possiblities are "endless". If multiplayer isn't part of the game now, it will be in a future update, I have a feeling that might be the case if this is somewhat based off the AC version. The UI looks very... Betaish..
Just one screenshot? How about four more! Definitely the AC version's UI. By any chance, where did you get these?